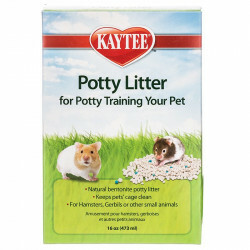 Small pets like hamsters, rabbits, ferrets and mice are undeniably cute, cuddly, and plenty of fun to play with and watch, but they can also make quite a mess, both inside and outside of the cage. 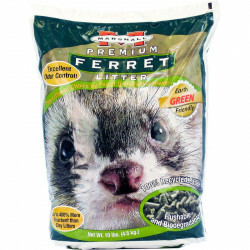 These animals have a natural instinct to forage, needing to dig and create comfortable resting places for themselves where they know they'll be safe from predators. 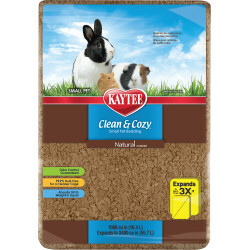 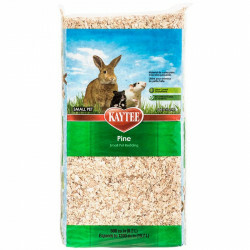 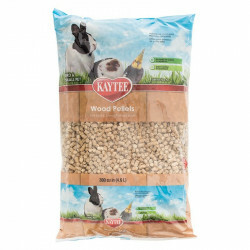 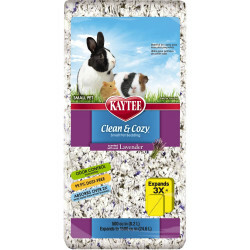 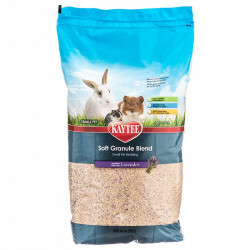 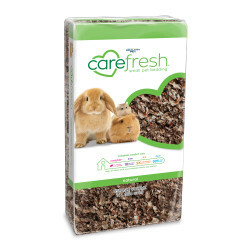 Pet Mountain's Small Pet Litter store features top quality litter and bedding from the most trusted names in small pet products and accessories, including CareFresh, Super Pet, Kaytee and Supreme. 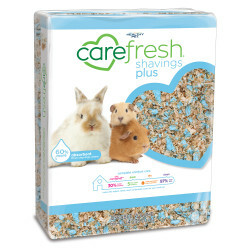 Spreading any of our safe, natural, healthy litters in your pet's cage will turn it into the perfect home. 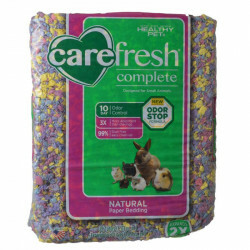 CareFresh Natural Bedding is our leading small pet litter product. 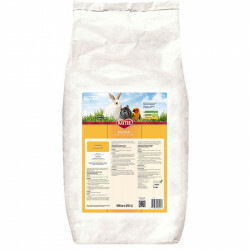 Made from reclaimed pulp waste, it is the safest and healthiest bedding for your pet. 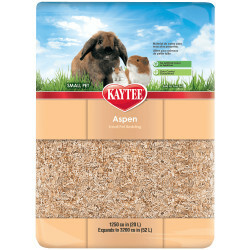 This short fiber pulp is free of ink, dye, clay and other chemicals that can be used in the paper making process. 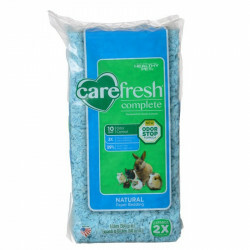 CareFresh Natural Pet Bedding is extremely absorbent, able to take on up to 3X its weight in fluids, including pet urine and water leaks! 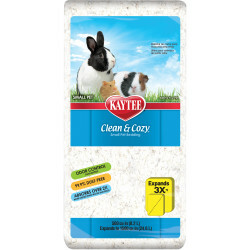 This bedding will last you twice as long as shavings, saving you time and money! 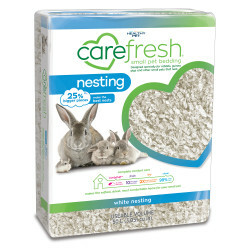 CareFresh Ultra Pet Bedding is the safest and healthiest bedding for your pet made from white cellulose fiber. 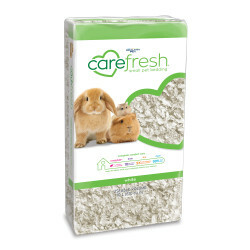 CareFresh Ultra bedding is free of ink, dye, clay and other chemicals that can be used in the paper making process. 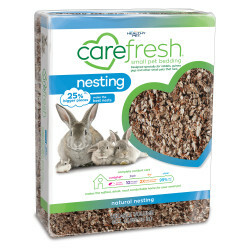 CareFresh Natural Pet Bedding is extremely absorbent, 3 times its weight, from liquids including pet urine and water leaks. 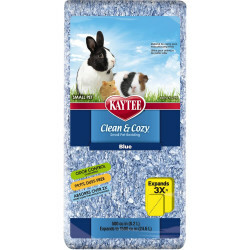 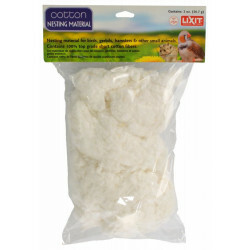 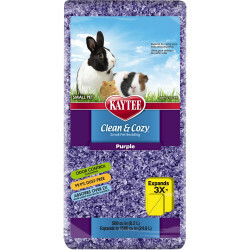 This odor blocking bedding is made to suppress the formation of ammonia caused from pet urine. 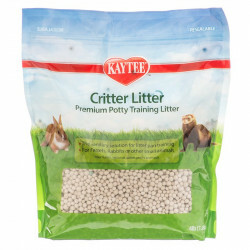 Super Pet Critter Litter Premium Quality Potty Training Pearls are made from 100% all natural bentonite that is non-toxic and safe for small animals. 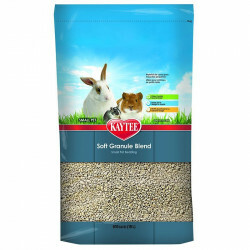 This special pearl-shaped pellet reduces dust production and absorbs moisture on contact.